Many people think that vegans consume less protein than meat-eaters. However, research shows that between 10 and 12 percent of calories in the vegan diet come from protein. In comparison, between 14 and 18 percent of calories come from protein sources for non-vegans. Some nutrition experts advise vegans to use protein supplements but they are expensive and in some cases unnecessary. There are many foods that are high in protein and can fit into a vegan diet. The list of protein-rich foods includes soybeans, seitan, black-eyed beans, and veggie burgers. Tofu, soy yogurt, and soy milk also supply protein. It is not difficult for vegans to meet the dietary requirements for protein. Most seeds, nuts, grains, beans, and vegetables supply protein. 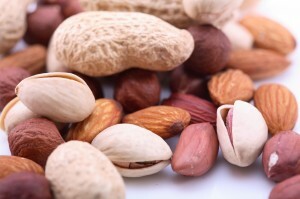 Many nuts and seeds are low in saturated fat and high in protein. The list of protein-rich nuts and seeds includes sunflower seeds, pistachios, and almonds. Walnuts provide protein and are high in omega-3 fatty acids, which reduce the risk for rhythm problems, heart disease, heart attack, and inflammation. While peanuts and soybeans are legumes, they are low in calories and fat and supply healthy protein. For more information about protein, why it is important and what are best fat loss protein sources visit Nutri Inspector. You will find many tasty recipes that can fit into a vegan diet. You can prepare veggie burgers with tahini, Southwestern salad, Moroccan chickpea and carrot salad, vegan chocolate cupcakes, and others. To make the Southwestern salad, you will need tomato, pepper, jicama, black beans, red quinoa, and Romaine lettuce. You can also prepare vegan Shepherd’s Pie. You will need vegetarian ground beef substitute, vegan mayonnaise, potatoes, and soy milk. Use cream cheese substitute and olive oil. You will also need celery, carrots, onion, and frozen peas. There are many other vegan recipes to try or you can modify dishes and use vegan substitutes. While some people believe that only animal sources supply protein, there are many plant sources of protein. The vegan menu includes whole grains such as barley, brown rice, and whole grain bread. Quinoa, for example, is packed with dietary fiber and protein. 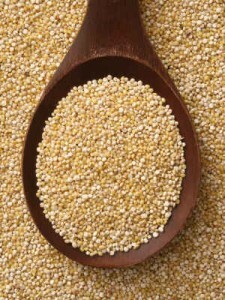 Quinoa is also a good source of manganese, phosphorus, and magnesium and is low in sodium and cholesterol. Legumes and lentils are also good sources of protein. Vegans can cook different meals such as chickpea hummus, split pea soup, and Indian dhal. The menu of vegans also includes a large variety of soy products such as soy cheese and nuts, soy yogurt and ice cream, and other foods. Soymilk and tofu are also fortified with vitamin B12, iron, calcium, and other nutrients. You can add tofu to different salads, soups, pasta sauces, and side dishes. There are many tasty meals with tofu to try. You can make vegetable soup with tofu, cashew, and greens, tofu stir-fry, Chinese cabbage tofu soup, and others. Other good sources of protein include tempeh, meat substitutes, and veggie burgers. Tempeh is high in protein and is made from soybeans. You can prepare it in many different ways. For example, you can make Italian flavored tempeh nuggets, vegan tempeh salad, or hoisin-glazed tempeh with cashews and green beans. This is a good alternative for vegans who don’t like tofu and mock meats. Moreover, tempeh contains more protein than tofu. Veggie burgers and other meat substitutes are excellent sources of protein. They contain wheat or soy protein. Mock meats and seitan are good alternatives to animal sources of protein. Some vegans also take supplements, but you should avoid protein powders that contain fillers.